A Chinese national, suspected to be a spy, was arrested by Assam Rifles jawans from a place near Moreh, along the Myanmar border in Manipur’s Tengnoupal district. This incident has raised serious concerns about the tricky bi-lateral relations between India and China. The person has been identified as Qin Min Xiv Xiang. He hails from Fuzian province of China and was nabbed inside Indian territory. The 55-year old Chinese national is believed to have sneaked into Manipur from Myanmar. The suspected Chinese spy has been handed over to Manipur police. Different Chinese, Vietnamese and Myanmarese documents, foreign currencies, a pen drive and a compass were found in his possession. 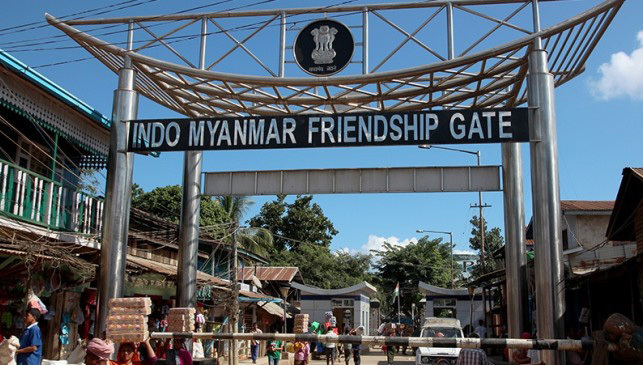 Police officials said, they were acting on a tip-off about the movement of a suspected Chinese intelligence operative trying to infiltrate India from Myanmar, through a track near T Minao village. One Assam Rifles platoon rushed to the spot and arrested the Chinese national. He is being interrogated by a team of intelligence officials. Police sources said the officials of the Home Department of Manipur, are in touch with the Ministry of External Affairs, who will take up the matter with the Chinese Embassy in New Delhi.